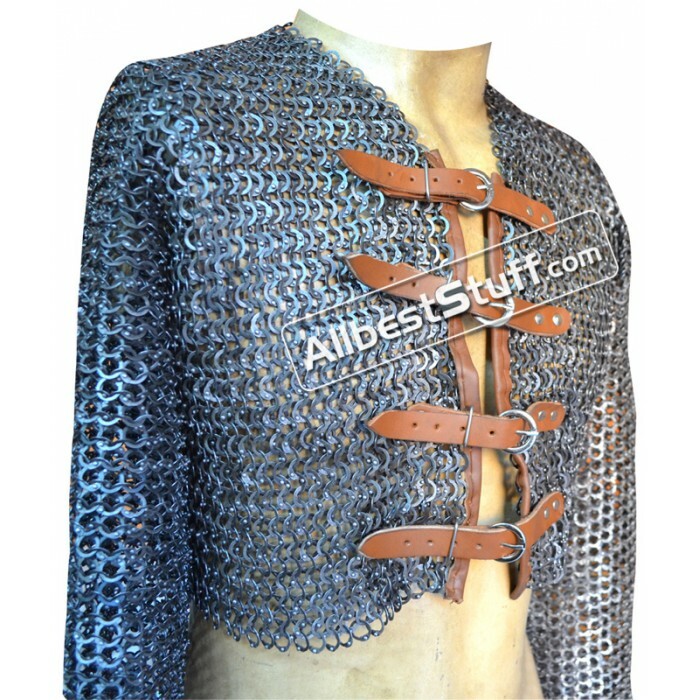 Solid light weight Aluminum Maille Half Shirt dome riveted, extremely light weight and easy to carry around weight under 8 lbs with front fastener with leather piping & zinc buckle. Full length tapered sleeves. Leather piping in front is included in the initial price, if you wish to have complete leather across top to bottom on edges, please select additional leather option at a little extra cost.